Andrew G. Paton, an Australian national admitted to practice in Australia, England & Wales and Italy, joined the firm as a partner in 2009, bringing with him a team of lawyers from his previous firm. Throughout his legal career, Andrew has worked extensively in both common law and civil law jurisdictions. He brings his broad international experience to bear in three main areas: (i) international M&A, joint ventures and trade; (ii) international arbitration and cross-border litigation; (iii) international succession and private client work. Before joining De Berti Jacchia Franchini Forlani, Andrew was Of counsel with the magic-circle law firm Allen & Overy and a founding partner of the boutique Italian law firm, Barenghi & Paton. Andrew assists major international companies from common law backgrounds with their business projects and investments in Italy. He also assists Italian clients in their international and local business. He has far reaching experience in negotiating and drafting international agreements in diverse industry sectors, including those of his long-standing corporate clients in the following areas: automated fare collection for city transit systems (Australia), renewable energy (Taiwan), industrial manufacturers (Italy) including white goods (Italy, China, New Zealand), petrochemical plants (EU), pharmaceutical and medical products (Italy, Taiwan), tourism and holiday resorts (UK), property investment (Australia), market research technology and analysis (USA), health research and diagnostic tools (Italy). Andrew has been described in Legal 500 and in IAM 1000 as “one of the most in-demand technology transaction lawyers in Rome”. In the area of international dispute resolution, Andrew has acted as lead counsel and co-counsel in complex cross-border matters before both arbitral tribunals and courts, achieving noteworthy successes including in complex jurisdictional challenges. He has developed skills in coordinating international teams of lawyers, witnesses and experts (engineers, forensic accountants) from different legal cultures, in both arbitration and court proceedings, several of which running in parallel. More recently, Andrew has acted as a member of arbitration tribunals and as sole arbitrator in cross-border commercial disputes under the rules of several of the major international arbitration institutions. In his private client practice, his work has been centred on international successions involving assets located in Italy. He deals on a regular basis with estate planning, will drafting in international estates, issues of applicable law, estate administration in different countries and related litigation. 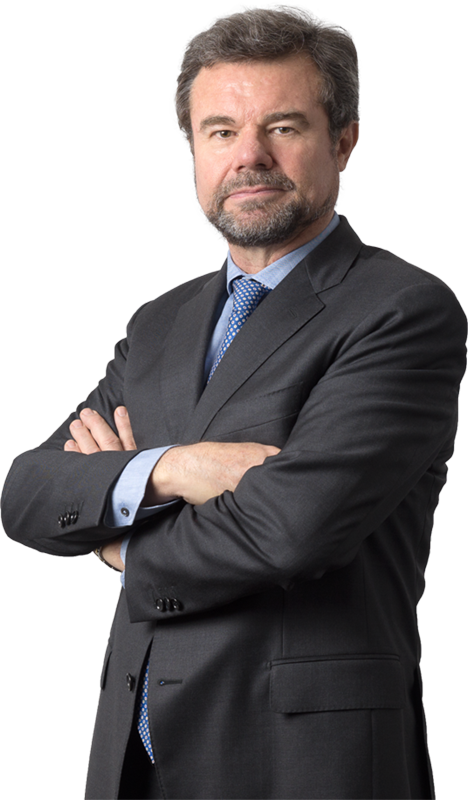 Andrew is one of the founders of ArbIt (the leading Italian forum on international arbitration) and a member of the editorial board of Rivista dell’Arbitrato. Law Council of Australia, International Law Section. Andrew is a frequent speaker at arbitration law conferences and has published commentaries on Italian developments in arbitration, succession and other international legal subjects. Representing a prime UK real estate investment company in a dispute over a sale and lease-back operation regarding a major resort in southern Italy run by a major French global resort operator. The dispute came before both the Italian courts and an ICC Arbitral Tribunal and included complex legal argument on the application of Italian and French mandatory law. The Italian Supreme Court in plenary session held, in an innovative and landmark decision extensively commented on in the legal press, that the Italian Courts did not have jurisdiction over the dispute, thereby allowing the entire case to proceed through arbitration. The Tribunal was called on to determine complex rental indexation mechanisms, alleged breaches of capital expenditure obligations and other essential conditions of a 40-year lease. Representing a major Taiwanese quoted company in the solar and renewable energy industry. The dispute involved parallel court proceedings in Italy, Luxembourg, Singapore and Taiwan and international arbitration proceedings in Singapore regarding a joint venture, corporate control and the international supply of products. Central questions concerned the jurisdiction of the arbitral tribunal and of the courts, the validity of a capital increase of the Luxembourg holding, the appointment of ad hoc independent administrators of the 8 Italian subsidiary companies and the recovery of significant investments in the joint venture. The proceedings included interim urgent measures, provisional enforceability, security for costs in arbitration and anti-suit injunctions ordered by arbitral tribunals against courts in other jurisdictions, as well as recognition and enforcement proceedings in Italy. Assisting client in the negotiation and drafting of complex international supply, financing and ancillary agreements for the procurement, supply and financing of major turn-key contracts for petrochemical plants in middle eastern and north African countries. Ancillary agreements include financing agreements, off-take agreements, maintenance and service agreements, general terms and conditions of supply, bank and corporate guarantees, letters of credit, promissory notes. negotiating and drafting sub-contracts for equipment supply and sw licensing for innovative mobile ticketing systems, including using apps and mobile technology. Administration in Italy of US reformed will.